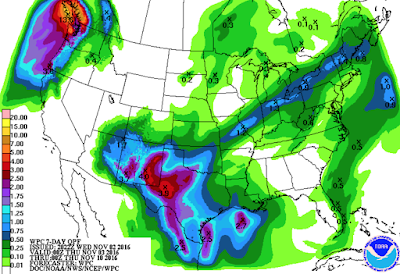 The above map shows the amount of rain, in addition to the normal amount, would be needed to break the drought. You'll notice the drought is over in most of northern California. 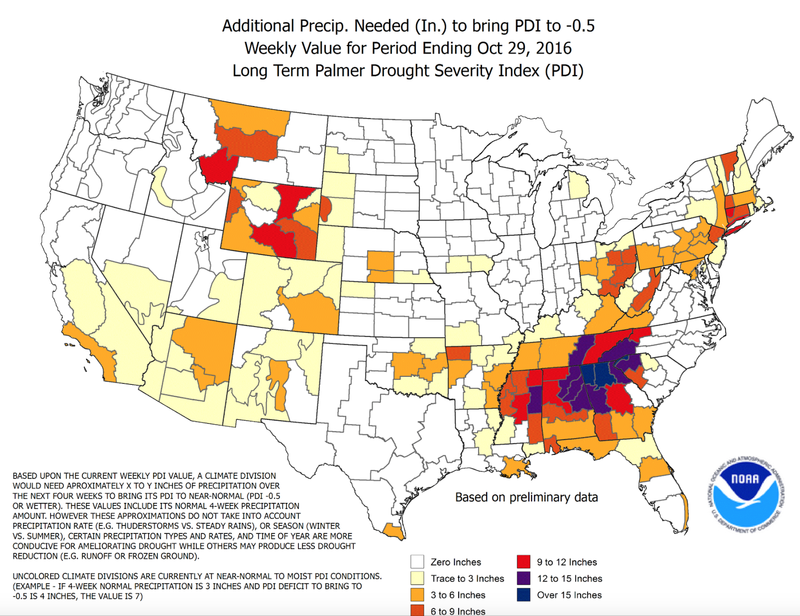 Unfortunately, a severe drought has developed in the Southeast. And, no significant rain is forecast the next seven days.